Painted in black and red, donning their best plumed headgear and armed with bows, arrows and the staunchest determination, they were dressed in full war attire and blocking the entrance to the Palacio do Planalto (the seat of the Brazilian government) in Brasília in early February. “They” were a group of about 50 Kayapó men from an indigenous group in the southeastern Amazon who are among the world’s most effective and fierce protectors of their land and its “natural capital.” The Kayapó are the reason a vast tract of forest — 11 million hectares, the size of Ireland — continues to exist amid an agricultural frontier of increasing road access, rapid deforestation, illegal gold mining and little law enforcement. While dressed for war, their intention was to peacefully talk to politicians about the renewal of a compensation package associated with the paving of the BR-163 highway that has greatly increased the pressures on their lands. Government authorities had dragged their feet, putting in doubt this vital funding. 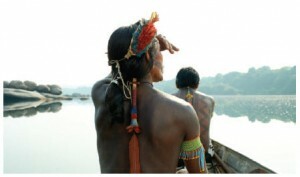 Fortunately, the 1,831-kilometre (1,137-mile) trip enabled the Kayapó to sit down with politicians and resolve the problem. This story illustrates why the Kayapó are considered ideal conservation partners by the international conservation organizations who work with them, of which ours — International Conservation Fund of Canada (ICFC) — is key. ICFC is also the only Canadian charity focused solely on global conservation. In spite of being relatively new (founded in 2007) and small (fewer than a dozen staff members), ICFC has a wide and impactful reach, from large-scale conservation to strategic land acquisition and programs to protect threatened species. ICFC partners with experienced in-country conservation organizations in Latin America, Africa and Indonesia to ensure that resources go straight into effective action on the ground. In Africa, a joint project of ICFC and U.S.-based WILD Foundation is securing the future for Mali’s population of “desert elephants” and, remarkably, has greatly reduced harm from the recent Islamic insurgency within the Gourma region. The project brings together communities led by elders and clan leaders to enact rules for management of natural resources, which include protection of elephant habitat, curtailing deforestation and charging fees to nomadic herders of “prestige” cattle herds (owned by rich city dwellers as a status symbol.) Patrols of young men (Brigades de Surveillance) create firebreaks (465 kilometres in 2014), guard habitat from illegal activities and counter poaching. None of the 600 or so young men working with our project (they receive a modest allowance) joined the jihadists. By contrast, men in surrounding areas who did join the jihadists now find themselves social outcasts and are resorting to crime and elephant poaching. Now all the local youth want to be involved in the project because they have seen what happened to those who joined the armed groups, and they see the status that being a brigade member brings. Project leader Susan Canney reports that our efforts are “bringing more security for everyone” and have played a valuable role in post-conflict reconciliation. ICFC also does ground-breaking work in Peru. In 2012, we established a trust fund to endow permanent protection of Peru’s first conservation concession, established by agreement between Peru and the Amazon Conservation Association in 2001. The Los Amigos Conservation Concession protects 146,000 hectares of highly biodiverse old growth Amazonian forest, and it indirectly protects another million hectares that are home to indigenous people in voluntary isolation. At a signing ceremony in Lima, attended by a “who’s who of Peruvian conservation,” Peru’s environment minister, Manuel Pulgar-Vidal Otaróla, warmly embraced the trust fund as an affirmation of the policy model of engaging with non-governmental organizations to permanently conserve tropical forests. Some might ask why Canadians should care about conserving nature and wildlife in foreign lands. We offer three answers. First, Canada has many migratory species — birds, sea turtles, whales, bats — that spend much of their lives outside of Canada, including in South and Central America. Second, preventing tropical deforestation is one of the most cost-effective ways of combating climate change. Third, the world’s irreplaceable natural heritage belongs to all of us. If any of this resonates with you, please spread the word about ICFC (ICFCanada.org) and know that your support will allow us to do more. Ariadne Angulo is director of conservation at ICFC and co-chair of the International Union for Conservation of Nature’s Species Survival Commission’s Amphibian Specialist Group.